Undeterred by strong opposition from industrial and academic communities, President Moon Jae-in vowed to close a second reactor at an early date and help South Korea become a global technology leader in the safe dismantlement of nuclear power plants. 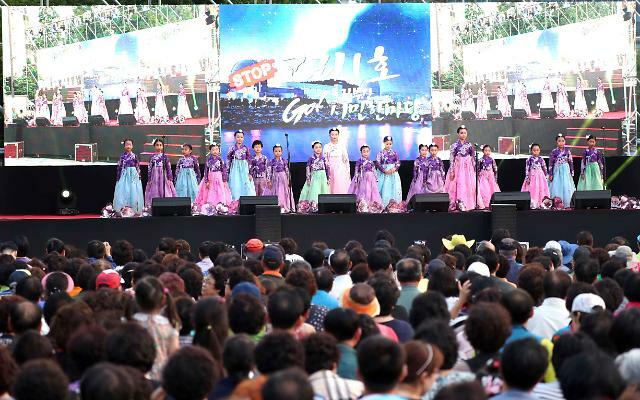 The pledge came in a ceremony Monday to mark the permanent shutdown of South Korea's oldest 580-megawatt reactor in the Gori nuclear power complex near the southeastern port city of Busan. The Gori-1 reactor stopped its 40-year operation under Moon's "nuclear-exit" campaign aimed at replacing old nuclear and coal-powered thermal power plants with clean and renewable energy sources. 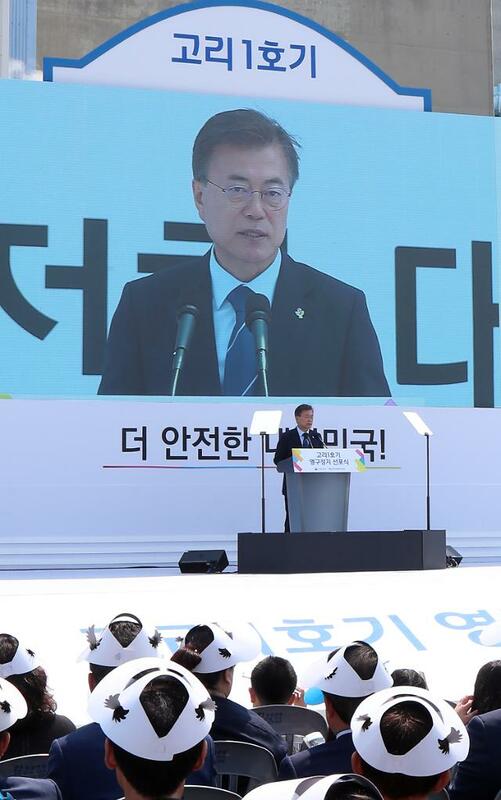 "The permanent shutdown of the Gori-1 signifies the start of a great shift in building a safe, nuclear-free country," Moon said in a speech that contained his unwavering commitment to reducing South Korea's heavy dependence on nuclear energy which accounts for about 30 percent of its power supply. The Gori-1 reactor started commercial production on April 29, 1978. Its initial life cycle ended in 2007 but it was granted a new lease of life for 10 years in 2008. The reactor has been the source of controversy with activists raising concerns about a possible disaster following the 2011 Fukushima crisis. The Fukushima meltdown proved clearly that nuclear reactors are not safe, cheap and environment-friendly, Moon said, vowing to push ahead with the closure of additional reactors out of 22 in operation, starting with the Wolseong-1 which has already reached its operation cycle. "I will work out a safe nuclear-exit roadmap as soon as possible," he said, adding the previous nuclear policy has focused only on efficiency and cheap energy sources with little consideration of public safety and health. Energy-related scholars and others have opposed a radical change, citing the slow pace of renewable energy development. Moon refused to back down and promised to scrap the planned construction of two new reactors in Gori, block any extension of life for old reactors, and suspend those vulnerable to earthquakes. The closure of the Gori-1 will provide "a new opportunity" as South Korea's nuclear industry can accumulate independent know-how related to the dismantlement of nuclear power plants, Moon said, calling for aggressive state investment. The nuclear industry is required to focus on securing technologies for the dismantlement of many nuclear power plants which near the end of their operational cycle. South Korea, which is well behind the United States, Germany and Japan, hopes to acquire related technologies while tearing down the Gori-1 under a 15-year project that would cost more than 600 billion won (530 million US dollars) by the end of 2032. In a speech last week at the second annual meeting of the China-led Asian Infrastructure Investment Bank (AIIB) on the southern resort island of Jeju, Moon presented a new timetable to increase the proportion of clean and renewable energy sources to 20 percent of total power supplies by 2030. Moon suggested the increased use of clean and renewable energy is inevitable to reduce greenhouse gas emissions. To fight air pollution and reduce carbon dioxide emissions, he has also proposed the closure of old ones out of South Korea's 59 coal-fired thermal power plants.